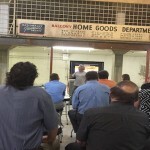 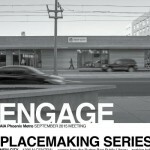 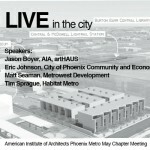 What: The third event in AIA Phoenix Metro Chapter’s monthly Placemaking Series. 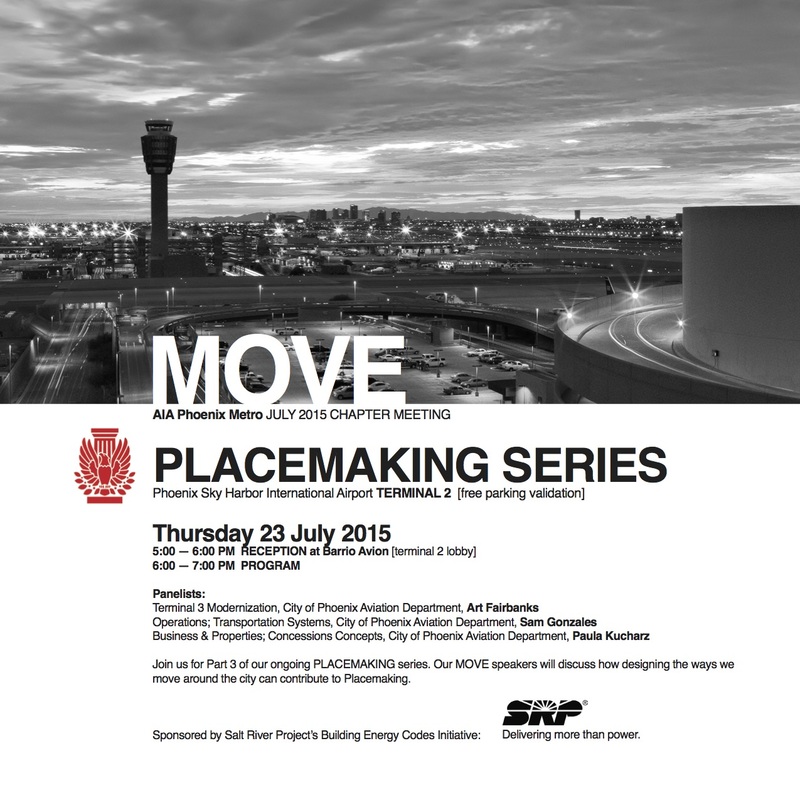 Through a panel presentation and community conversation, the event will explore how the Sky Harbor Terminal 3 Modernization Project (currently under construction) has been designed to capture the essence of Phoenix in its design – an airport rooted in place. 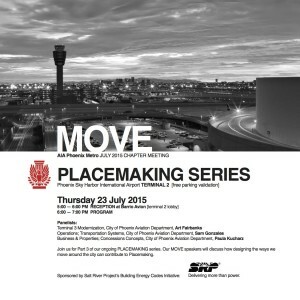 The panel will discuss the wide range of ground transportation models emerging in the valley, and how Phoenix is embracing new ways to MOVE us around the city. 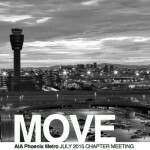 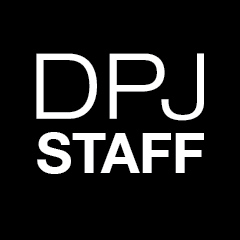 They will also look at how the introduction of local restaurants in the airport has been a huge success, allowing people to experience the flavors and artistry of local Phoenix chefs. 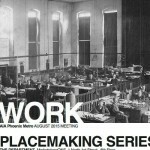 When: Thursday, July 23rd; Reception: 5-6 p.m.; Program: 6-7 p.m.